people all over the world are rediscovering the power and magic of the human voice - A cappella is one of the oldest forms of music and yet it’s fresh, evolving and alive in popular culture. Between the successes of the hit NBC show “The Sing-Off,” musical films like Pitch Perfect and superstar a cappella groups. We’re proud to bring outstanding a cappella professionals together with collegiate, high school and semi-professional singers to showcase some of the best contemporary a cappella talent in the country. Creating an international forum in Northwest Arkansas for a cappella music is an important goal for VoiceJam, and we’re excited to continue doing this in our fifth festival year. Natural State of Mind – Jacksonville High School, Ark. Euphoria – Grand Valley State University, Allendale, Mich.
VoiceJam is so much more than just a performance competition. 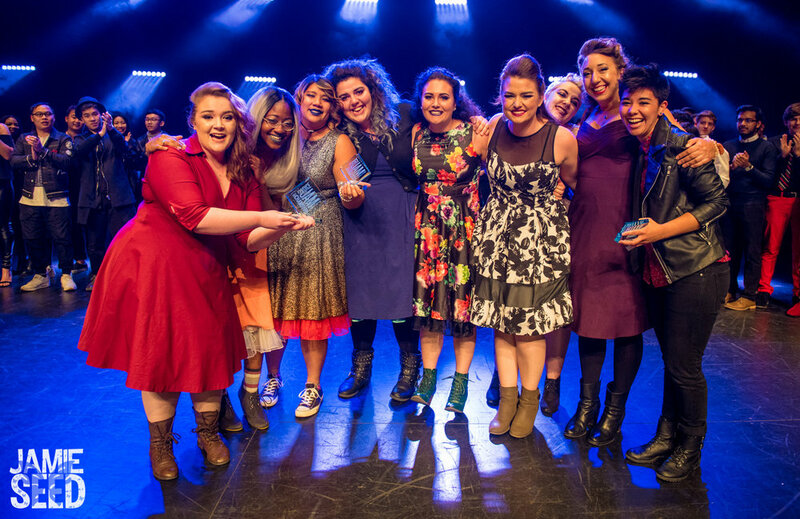 Throughout the festival, participants enhance their music skills through a variety of workshops led by internationally and locally renowned vocal coaches; masterclasses are also offered for new and experienced singers, including sessions on vocal percussion, harmony blending, collaborative arranging and the history of a cappella. In every community—at every moment—someone is singing. VoiceJam is a festival where people come to savor the vocal vibrancy from across the country and around the world. We’re cultivating musical friendships and hoping to inspire Northwest Arkansas to sing beyond this weekend and throughout the year. We think it’s great to live in a community where people of all ages are creating and experiencing a variety of music!